Since I am still posting on some of my recent visits to lovely destinations in Trinidad, I thought I’d share some helpful links if you’re planning a trip to T&T, or better yet touring the country you live in! The Official Travel and Tourism site – marketing T&T as “the True Caribbean” is not actually a bad place to start if you’re looking for registered tour companies, accommodation, background on the people, food, culture and events. 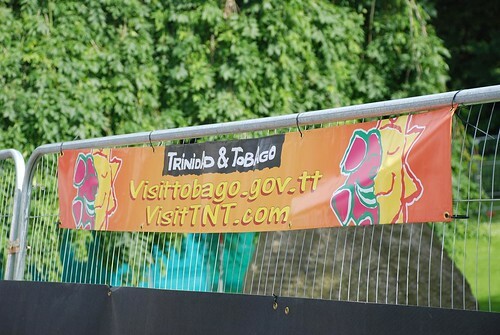 I don’t think the Government is maintaining visitTNT.com anymore, but the Visit Tobago site is still up and running. Discover Trinidad and Tobago -“the definitive guide to the islands” – is an annual publication highlighting the country and its attractions. (The same publishers as Caribbean Beat, the magazine for Caribbean Airlines, which has been featured on this blog a few times). But the website for Discover is also an excellent updated resource for visiting the twin islands. They’ve got informative and descriptive posts for example, on the Top 10 Things to do and see in Trinidad, Top 10 Things to do and see in Tobago, as well as an 8-part (so far) visit to different parts of Trinidad and a similar but shorter series for Tobago (smaller island, that’s all). You can visit the companion blog by MEP Publishers where their contributors have reported on the usual suspects in T&T tourism as well as the not-so-usual but very interesting, like the water taxi ride! Amazing Trinidad Vacations (who you may recall interviewed me about a year-and-a-half ago) also has some good information and photos, along with a few interviews of famous Trinis like David Rudder, Kees Dieffenthaller (of Kes the Band)…and uhm me? Outlish Magazine is a relatively new online magazine by Trinis for Trinis, founded by Karel McIntosh, as a “weekly, online, lifestyle magazine that celebrates individuality, passion, and innovation.” It’s published every Monday and the contributors and articles just get better. One recent issue proposed a Trini Bucket List: 10 To-Dos for Trinbagonians which while identifying places to go like Toco, Icacos and Down de Islands, also includes essential experiences like a Hindu wedding, or sitting in Parliament. So, if you haven’t been to T&T, or you live here but think you have nothing to do, browse any of the above links and get busy. There are only so many days to enjoy life and see the beauty of our world. If you know any other great online places to get information, go ahead and comment – I think I’ll keep this post updated, and perhaps turn it into a permanent page for T&T travel eventually. This entry was written by Chennette and posted on February 5, 2011 at 11:10 pm and filed under travel, Trinidad and Tobago. Bookmark the permalink. Follow any comments here with the RSS feed for this post. Post a comment or leave a trackback: Trackback URL. Nice post about discovering Trinidad and Tobago. We do have things to see here but many of us prefer to spend money to go abroad to see the sites there. And we have to get visas as well and that can also be a hassle. it may have been compiled by tourists, but there’s a wealth of information therein!!! You know thats my go-to guide book!!! oh gosh. i forget???? that’s what I get for trying to rush a post. Will take care of that this weekend!! After all I gave the honeymooners a copy and that is how they knew about the temple in the sea and whatnot!